The only thing keeping the company afloat is the left over money from the sale of NASDAQ years ago. They had over 2 billion from that spinoff deal but lost nearly 700 million of it due to poor investments. They appear to have the billion or so that is left in much more secure investments like bonds and CD’s now but with interest rates so low for so long this may not be sustainable. At some point you must operate within your budget and not continually operate at a loss. One of the ways they can save money is to get their office situation under control. 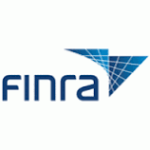 FINRA currently employs roughly 3500 employees, yet they pay 50 million in rent every year for their offices nationwide. This is a extremely high ratio and is skewed because of FINRA’s insistence to be in some of the biggest and most expensive cities in America. New York, Washington, Los Angeles, San Francisco and Chicago to name a few. Perhaps its time to move the Washington office into the suburbs of Maryland or Virginia? The NY office is in the heart of Wall Street so we have a nonprofit organization paying the same office space rent as Donald Trump. Does that make sense to anyone? They could very easily move to office spaces in New Jersey or upstate NY and still have the area covered. They should also consider closing some offices down and consolidate them. Is Investor Protection so important that FINRA needs to have a a office located in New Orleans? In the entire state of Louisiana there is literally no more than 20 or so total brokerage firms based there. Lastly, FINRA’s audit revealed expenses related to retirement, benefits and pensions of a combined 384 million for 2015. This is a staggering about of money to spend on 3,500 employees. While we all want the best benefits and retirement plans, that number is staggering when you consider that the auditor said approximately 45% of employees are not even taking part in the retirement matching. When you divide this number by the amount of employees, FINRA is averaging roughly$110,000.00 per employee for the last few years. That is unsustainable for a nonprofit. Changes will have be made swiftly or your dues will indeed be rising. What is your opinion? As always, we value your feedback.